The roles that media play in the lives of children and adolescents, as well as their potential implications for their cognitive, emotional, social and behavioral development, have attracted growing research attention in a variety of disciplines. 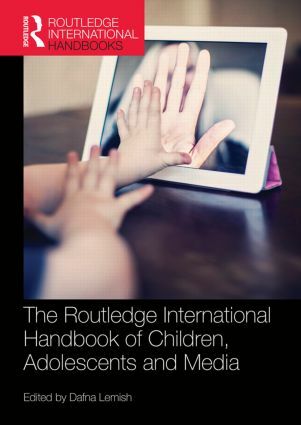 The Routledge International Handbook of Children, Adolescents and Media analyses a broad range of complementary areas of study, including children as media consumers, children as active participants in media making, and representations of children in the media. The handbook presents a collection that spans a variety of disciplines including developmental psychology, media studies, public health, education, feminist studies and the sociology of childhood. Essays　provide a unique intellectual mapping of current knowledge, exploring the relationship of children and media in local, national, and global contexts. The Handbook’s interdisciplinary approach and comprehensive, international scope make it an authoritative, state of the art guide to the nascent field of Children’s Media Studies. It will be indispensable for media scholars and professionals, policy makers, educators, and parents.